It's Monday morning. You get to the office. The first cup of coffee is on your table. You are almost awake. The phone rings. You pick it up. It's your client. He sounds angry. He just saw his new truck on the street with the image you designed. What does he yell now? Why would he have to throw them all away? You open the file you had finished on Friday. And there it stares at you. The big fat stock photo watermark from the photo agency. You forgot to replace the comp with the licensed stock image. Oh what a great way to start the week. 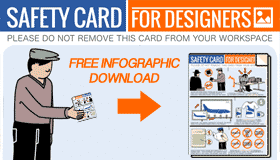 Let me see the Stock Photo Safety Card Infographic! I want to share it now! Does that sound familiar? Or at least like something that could happen to you eventually? How about this: Your client calls, the project got cancelled. He wants to do something completely different now. And you just bought a bunch of stock images, investing hundreds of dollars already? It's the worst case scenario. But it happens, probably every day to someone somewhere on this big planet. 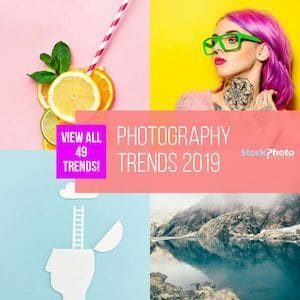 Even if these most of them are cheap stock photos, it's still money not-well spend. Now we have a little help to keep the risk under control. 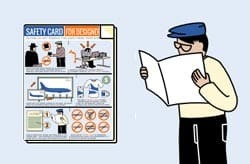 Just like in an airplane the safety card in front you shows the most important measures in case of emergencies: We proudly present the Stock Photo Safety Card for Designers. 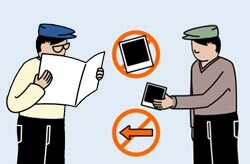 Whenever using stock photos in your designs, this safety card will come in handy for a quick check if you followed all precautions to avoid costly mistakes. Just like in a plane, this is something you get might get bored of while everything works just fine. But you will appreciate in case of problems coming up. And then you don't want to search for it. So print it out right now, hang it on your wall. Just to have it right there when you need it. And send a copy to your friends, they might be grateful for it as well. Tired of reading? We have got all relevant info squeezed into a neat short stock photo safety video. Sit back and relax and we suggest that you keep your seat belt fastened throughout the video. How often did it happen to you that a project was changed in the middle of it? Then you don't want to have invested money in things that no one needs any longer. Make sure your client approves the stock you plan to buy before spending money on it. And while we're at it: Get your client to approve that extra money you need to go large. The web might be the hot place to be but print is not out of fashion yet. The design you just made for the website: Wouldn't it look great if they had a handout for the conference next week? Or a corporate brochure using the same key visuals? Go for large right away if you can. Upsizing later usually causes extra cost or work. 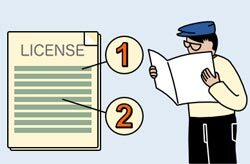 Buying stock means buying a license. And there are limitations. So make sure to check the license before paying money for an image you end up not using because of the restrictions. 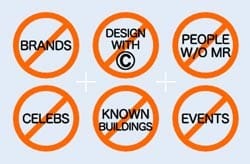 Most agencies will prohibit the use of images for resale products. Many places offer editorial images that can not be used in advertising. Make sure you know what you are allowed to do. Not checking before using can cause a lot of headaches (and a bill) for you and your client later. And while we're at it: Got an image that your client picked and licensed already? Yeah, that's another issue: Check where they have it from and how you can use it. Clients are not image buyers, they rarely have lots of experiences with stock licensing. So make sure to check twice if you and they are on the safe side. Royalty Free licensing is a nice thing: It allows you to re-use images you already have licensed in the past. But how often do you actually use an image that you had already used for a different client? With 50+ million images to choose from, you don't have to and it's getting unlikely you ever will. So it might be a better choice to not license the images yourself but let the client do it. Check with them if they already have an account that you can use to get the stock you need. Or register a new account in their name if they don't object. It's so much better to not only the let them use the images you license but have them take the responsibility for the use as well. You don't want the stock agency to come after you if the licensed image is being used different than what you originally had in mind. Most agencies will allow you to use comp images with watermarks for your initial design. Make sure that none of them are going to be published. Anywhere. Always. No one likes their work to be used without reward, do you? 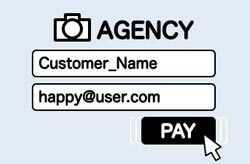 Artists and agencies can be very strict when comp images show up on the internet, even if it happens by accident. 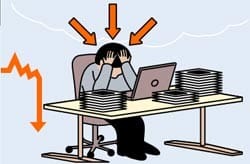 So always make sure to keep the number of drafts under control and don't hand them over to the client before replacing a comp with the licensed image at the end. Working with customers – internal or external – is always a potential source of problems. It can be fun and rewarding, it can pay off well and it makes you proud to see your final work in use. However, when things go wrong, the discussions will start who is to blame. 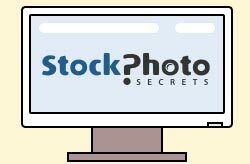 Make sure to follow a few basic rules to avoid the most common mistakes that happen in the world of stock imagery. 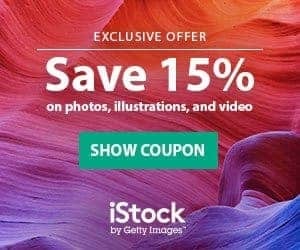 And make sure to follow StockPhotoSecrets.com for news and tips.